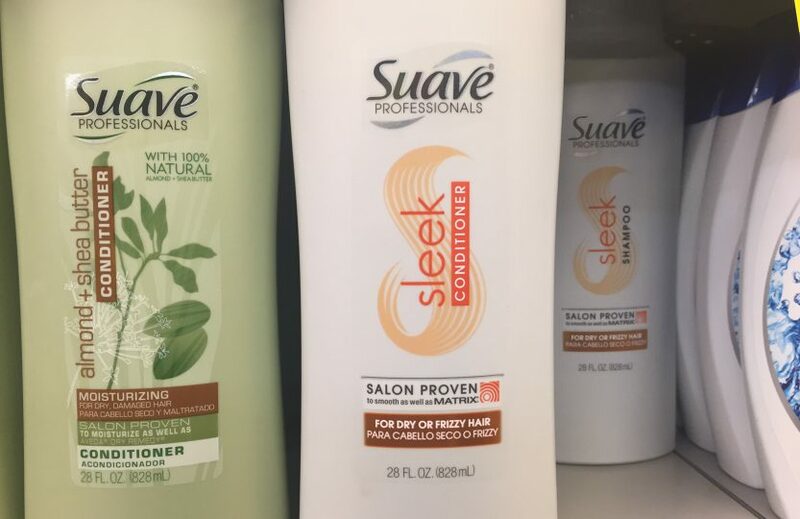 I only had to spend about five seconds (maybe less) scanning over the ingredients of Suave Sleek Conditioner before potassium chloride popped out at me and I quickly put this bottle back on the shelf. Potassium chloride is a salt, most likely put there as a cheap thickener, but salt is corrosive and drying. 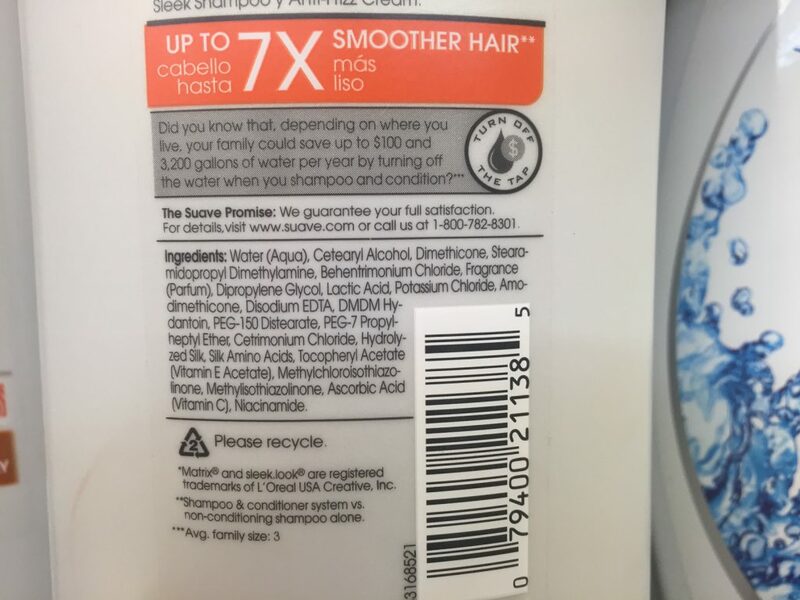 It’s too bad, because the ingredient list started off pretty nicely before fragrance is listed.